No big surprise that the Christmas gifts catching my eye this year have been beauty focussed… and here are a few of the best gift sets out there that would make a beauty lover (i.e. me) go oooh, yay! Especially if you like eye-liners….! 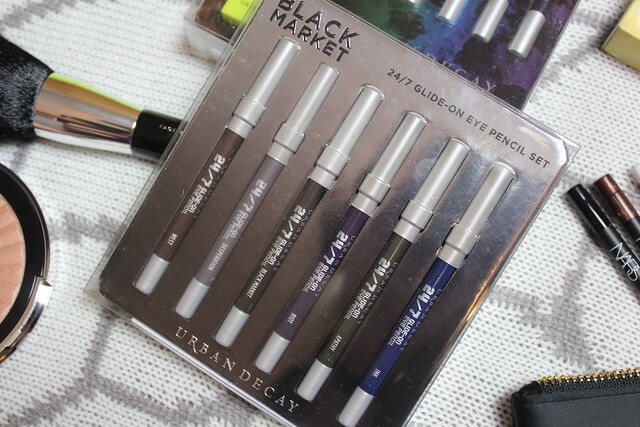 Urban Decay Black Market Liner Set (Look Fantastic, £19.49) This is a set of six, smaller-sized pencil liners from Urban Decay and includes one of my all time favourite liner shades of ‘Desperation’- a smokey taupe shade that’s very pretty for day time definition. Plus this set is one with the wow factor for an under £20 price tag. 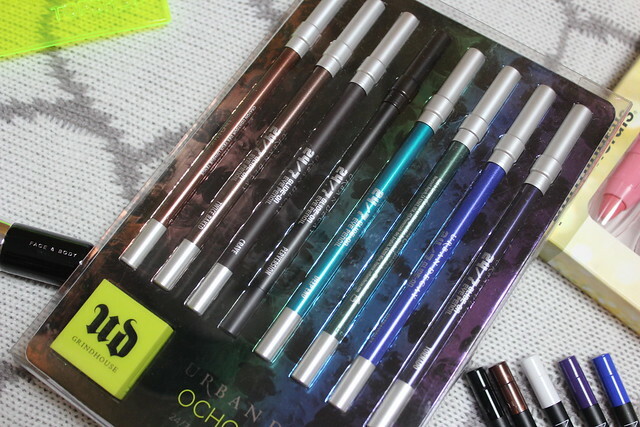 Urban Decay Ocho Loco 2 Liner Set (House of Fraser, £34) This is a slightly more pricey set but contains eight full size liners and a ‘grind house’ pencil sharpener (the best sharpener I’ve tried) the shades vary from classics blacks and browns to bright teal and royal blue. Basically all you really need from liners – these bad boys have it covered. 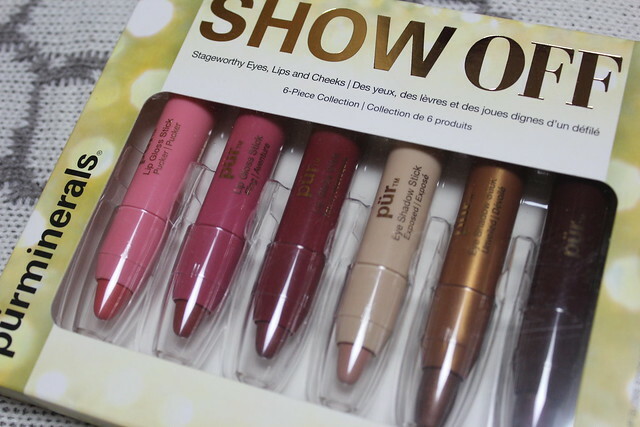 PUR Minerals Show Off Set (M&S £22) A set of chubby crayons that can be used on lips, cheeks or eyes in a variety of shades from pretty pinks to shimmering bronze, deep berry’s and creamy highlighters. If I could use this whole set to just draw on my make-up it would be perfect. This is a great set for maybe a teen who is starting to get into make-up and wants to have a play with a few colours. 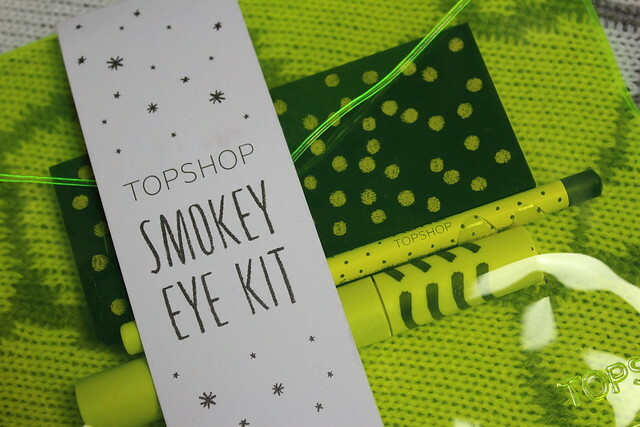 Topshop Make-Up Smokey Eye Kit (£22) Topshop make-up can pretty much do no wrong in my eyes. This season they launched a selection of gifts and all of them are perfect for make-up lovers. There’s a ‘Best of’ set that’s especially amazing a few little ones that I’d love to find in my stocking and this Smokey Eye kit – containing the smokey eye palette, liner and mascara. All you need for a perfect smokey eye. 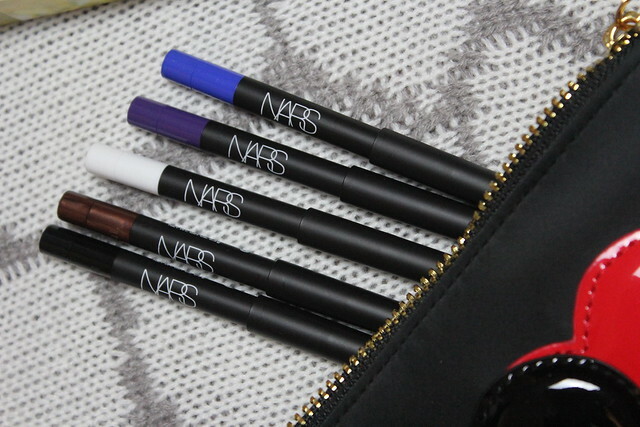 NARS Guy Bourdin Liner Set (HQ Hair, £35) Beyond the adorable heart-printed pouch which instantly makes this one a lust-worthy set then there’s the addition of five smaller-sized NARS longwear eyeliner pencils, with shades from bronze and black to bright blue, purple and white. 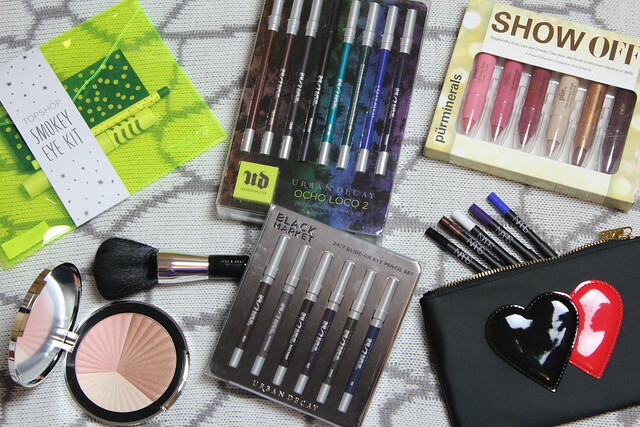 A very cute set, with some very cute liners. This is just one Guy Bourdin set – there’s also the amazing blush palette (that may be hard to come by as believe it’s sold out now) and a lip equivalent of this set. Let me know what’s on your beauty list to Santa this year! Liking the look of the Bare Minerals palette. I love all the beauty giftsets floating around at Christmas, but I do wish they’d do more of a variation rather than ones filled with different colours of the same product. Maybe that’s just me being greedy though – I’m indecisive and always want a bit of everything! Ha. Love the NARS gift set, totally up my ally. I really want the Urban Decay Naked 3 Palette! I seen it in stores the other day and I was in love. 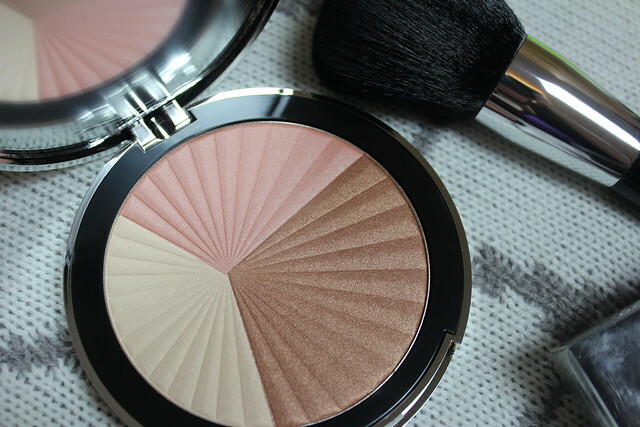 I have been lusting after that Bare Minerals compact since I saw it in an ad. So gotta get that! Thanks for the list and now mine is much bigger. Happy Holidays!! !